lectured in the Department of Philosophy in Nitra in the academic year 2011/2012. He works at the Faculty of Arts of National University of Uzbekistan, where he had also acquired bachelor´s and master´s degree. 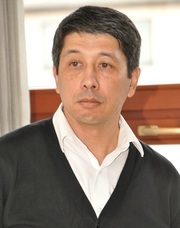 His research is focused on the theory of civil society, social changes of Central Asia in its transition period, political culture and the process of democratization. - "The Human Being as Object and Subject of Culture" (in Spiritual Culture and Social Progress.